A wide range of non-protein amino acids occur naturally in plants, particularly in the seeds and foliage of leguminous species. Table 1.2. Glucogenic and ketogenic amino acids. Table 1.3. Plant non-protein amino acids3 with the potential to cause adverse effects in animals. 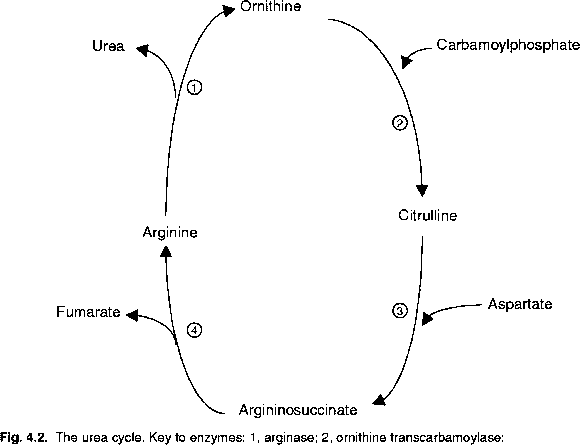 aSee Chapter 4 and D'Mello (1991) for structures and intermediary metabolism. The non-protein group (Table 1.3) includes several structural analogues of the essential amino acids. The aromatic amino acid, mimosine, occurs in the tropical legume, Leucaena leucocephala, a ubiquitous species yielding palatable forage for ruminants. A structural analogue of arginine, canavanine, is widely distributed in various tropical legumes including Canavalia ensi-formis, Gliricidia sepium and Indigofera spicata. In temperate regions, the factor causing haemolytic anaemia in cattle and sheep consuming forage brassicas has been identified as a ruminal derivative of S-methylcysteine sulphoxide, an analogue of methionine, distributed throughout the plant. It has been conventional to consider selenocysteine as a member of the nonprotein group; however, selenocysteine is now recognized to be the 21st amino acid that may be incorporated into specific proteins (Atkins and Gesteland, 2000). A subset of the non-protein group contains the lathy-rogenic amino acids which are accorded with profound neurotoxic properties. Although these neurolathyrogens have not been associated structurally with the essential or non-essential amino acids, at least two lathyrogenic amino acids exert marked effects on the brain metabolism of gluta-mine. Consequently, some biochemical association with the amino acid neurotransmitter system embracing glutamate and y-aminobutyrate (GABA) cannot be excluded. Whereas some non-protein amino acids are profoundly neurotoxic, others exert their effects by reducing utilization of specific essential amino acids. Details of the adverse effects and underlying mechanisms will be found in Chapter 7.